[ONE] It's time to fall in love again! This November, ONE will be premiering the Korean remake of the award-winning Taiwanese drama <In Time With You>, which originally stars Ariel Lin and Chen Bolin. The K-version is headlined by the ever-so-charming Lee Jin Wook and popular actress Ha Ji Won. Set for a premiere on 18 November across Southeast Asia, viewers will be able to catch <The Time We’re Not In Love> every Tuesday toFriday at 7.40pm/ 6.40pm(JKT), first and exclusively on ONE. The drama will also be available in Mandarin and Malay audio, with options of localized subtitles. 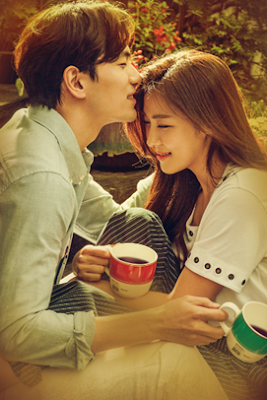 SYNOPSIS: Ha Na (Ha Ji Won) and Choi Won (Lee Jin Wook) have been best friends since childhood. As they near their mid-30s, they begin feeling the pressure to settle down. Amid their attempts to find their perfect matches, they’ll discover their feelings for each other are more complicated than each has let on. Will they be able to find true love, or has it always been right there after all? A remake of the award-winning Taiwanese drama In Time With You starring Ariel Lin and Chen Bolin.